There are two fun facts to report about Hanover right off the bat: first, Woody Harrelson is a graduate. Second, Hanover was the answer to a Jeopardy question that asked which college campus was the only place from which it was possible to see 3 bends in the Ohio River. “Hanover is strategically placed among the cornfields,” the admissions rep told us. It’s situated 1.5 hours from both Indianapolis and Cincinnati, 45 minutes from Louisville (the omnibus goes there all the time). “The town also has the first historic district in the state. It’s not easily walkable from campus, but there are plenty of shuttles.” Because of this, it’s not a suitcase school. There’s always something going on. “Students are conscious of creating fun but also helping others.” Students can bring cars starting in freshman year, although they’re encouraged not to bring them until October break. Our tour guide said that something that surprised her was “how genuine people were here.” The President of the college said something along the same lines: “The best things about Hanover are intangible. It’s in the relationships. People go out of their way to maintain contact after graduation. I’ve been in higher ed for 45 years, and I’ve never seen people who have as many reunions as they do here.” The President is highly involved on campus; students call her by her first name, and she opens her home every year for the annual Halloween Party, one of the best-attended events of the year. This is a lovely campus, often cited as one of the prettiest in the country. 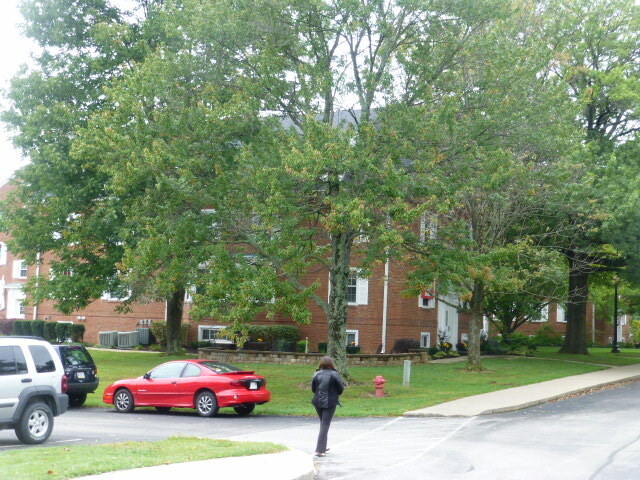 The brick buildings are attractive and well-maintained, and there’s lots of open space with trees and flowers. 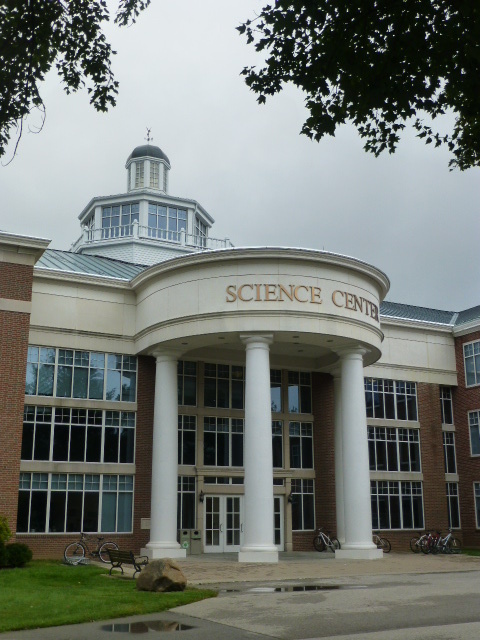 “Campus has waterfalls and deer posses,” said a rep. There’s a wildlife reserve 15 minutes away used by students in the biological sciences, one of Hanover’s strengths. It’s the only undergraduate institution in Indiana with a cadaver lab. Another academic strength is Business Scholars Program. It’s not a major; any student can apply during freshman year to become of this program. Just over 25% of the students get involved. The BSP professors will help student tie any major into the Business world, such as students who major in studio art and can learn how to run an art gallery through BSP. The school supports students to compete for Richter Grants which support off-campus learning opportunities. One student studies in the Amazon; one budding writing student went to Japan to study cartoon characters for children’s books; another studied street art in Europe. They also have a 3-week May term during when students take one class. There are several study-travel classes, including one led by the president to Italy to study early Christianity. “I wish more people knew what great opportunities there are here,” said the tour guide. Students can’t skate by here. People who want to do that won’t make it. Our tour guide’s biggest class had 42 students: “It was an astronomy class; it’s really popular!” Her sociology class was her smallest with 8 largest was 8 in a sociology class. Her favorite class was Sociology of Childhood. All students must live on campus unless they live within 30 minutes of campus. There are 4 freshmen dorms, all traditional bathroom-down-the-hall style, and all but 1 are without AC. There are upperclassmen dorms that are mostly suites and quads; only 1 does not have AC. Despite the lack of AC in many dorms, the biggest gripe from 2 different students was the fact that the internet could get spotty at times. Forty-five percent of the study body is Greek-affiliated. Students don’t rush until the beginning of second semester giving them time to adjust to college life and make friends before affiliating. Frat-Run Night (when students get their bids) is one of the big traditions on campus. Other notable traditions that our tour guide talked about was the massive snowball fight on the first night of significant snowfall, Syllabus Eve party right before the first night of classes, Homecoming, Bell Game against Franklin (their rival), and the Whiffleball tourney that will draw about 64 teams each year. Greek-affiliated housing is available starting in sophomore year; 90% of the Greek students take advantage of this. Thirty-six girls live in each sorority house; the tour guide didn’t know about the numbers in the frat houses. There is no alcohol in the sororities; parties are in the frats. “More drugs are found off campus; kids think they’re more likely to get away with it because they think it’s less patrolled – but it’s not.” She said that there was one fight on campus during her time here between a student and a non-student. That’s the only time she’s heard of anyone using the blue lights. The student body is socioeconomically diverse; they’re almost equally divided across the income spectrum. Almost half of the students are first-gen students. There are a lot of scholarship opportunities, including scholarships for involvement in extra-curricular activities aligning with the major. This $5,000 can be stacked with most other scholarships. They will adjust merit aid through the February ACT test date. The school is working hard to increase scholarship and financial aid opportunities; one of the primary reasons that students transfer out is because it’s expensive. The most competitive scholarship is the Templeton, a full-tuition award. It’s based on extra-curricular involvement and potential. This requires a separate application, resume, and essay. Forty applicants get invited to campus to compete; 12 are awarded the scholarship. Because of a recent grant, some of the students will get a partial scholarship, called the Jordan. They’re still subject to the same requirements: 20 hours of community service per semester, at least 4 hours of study time at the library/learning center per week, involvement in at least 1 activity with the expectation that they take a leadership position by Junior year.